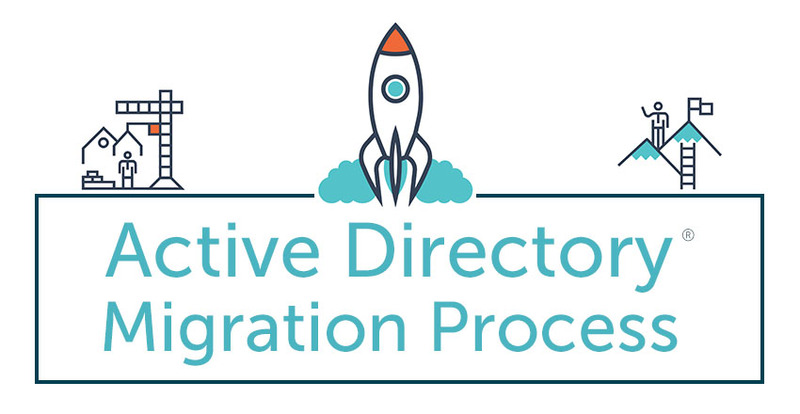 As more organizations move away from Microsoft Active Directory, there has arisen the need to build a comprehensive and tight Active Directory migration process. AD has served as the standard organization’s core user management infrastructure since 1999. To shift that to Identity-as-a-Service (IDaaS) is incredibly liberating for an IT admin – but it can also be more than a little nerve-racking. AD, after all, is the center of most IT networks. It is the tool that control who accesses what IT resources. As such, if there is a hiccup in the process, there can be downtime for users and egg on the face of IT admins. So Why is IT so Eager to Replace AD? It’s a good question. AD has been the monopoly in the directory services space for almost two decades now. Microsoft used its dominant position with Windows to build a strong franchise in the identity management space. AD has worked for a long time and is what most IT admins know. But they don’t love it. Today, only one in five devices is Windows and there is a massive move to AWS and other cloud infrastructure providers. The gig economy is making it easier than ever to have workers all over the world. All of these massive changes in the IT landscape are making Active Directory less relevant and valuable to IT organizations. Many of these IT admins are championing the move to Directory-as-a-Service®, an independent cloud-based directory service. This virtual identity provider is extending the concept of AD to the cloud and modern IT landscape. Directory-as-a-Service is cross-platform, working with Windows, macOS, and Linux platforms. It seamlessly integrates with cloud infrastructure such as cloud servers at AWS or Google Compute Engine, productivity platform such as G Suite and Microsoft Office 365, and web applications like Salesforce, Box, Webex, and more. IT resources and users can be hosted in the cloud, on-prem, or anywhere else in the world. Directory-as-a-Service securely manages and connects users to the IT resources they need. The process of migrating from Active Directory to a cloud hosted directory service is remarkably easy. The Directory-as-a-Service platform runs in parallel with AD while users are imported into the cloud directory. Active Directory remains the authoritative platform, syncing any changes with the cloud directory service. When IT is ready, they can cut the cord with AD and shift to the hosted directory service as the authoritative, core identity provider. The AD migration process can happen at the pace that is right for IT. You can find a more in-depth, step-by-step guide on our KnowledgeBase. If you would like to learn more about the Active Directory migration process, drop us a note. Our customer success team would be happy to work with you to develop an AD migration plan that is right for your organization. As well, you should feel free to give Directory-as-a-Service a try for for yourself. Your first 10 users are free forever.